Welcome to my review on 42nd Street, I have to say since I knew I was going to the show for a family night out I've been very excited after hearing amazing things on how good this show is and trust me nothing disappointed. Now I love dance and choreography and managed to resist watching more on You Tube but knew the dancing in the show was something that just had to be seen. The show had only been open a few days but the energy from the opening number and the cheer that followed had me captured. As the show continued each number had exceptional choreography and all the dancers of the incredible cast were amazing. The costumes in each part of the show were incredible. The design work that has gone into the costumes I think made the dance scenes that more special. I had many favourite parts of the show so choosing my favourite is actually hard. I think my top two would be the choreography when the mirror raises above the dances and the finale. The energy every single member of the cast had was outstanding for this. I think by the time the first half had finished I wanted to rate the show 5 stars. It's not often I've decided I want to book again by the interval but I could happily watch this and it's totally makes you want to take up tap dancing. Having spoken to a great member of staff on my way out of the show I am actually in awe of how good everyone was with 4 weeks of dance rehearsals. You really have to see it to believe how good everyone is. It was really nice to be back in this theatre. This has always been one of my favourite to come to and I think after doing the tour earlier in the year of behind the scenes it was great to see a new show here. If you are a theatre merchandise collector like me I was really impressed with the selection they had on offer so early in the run. 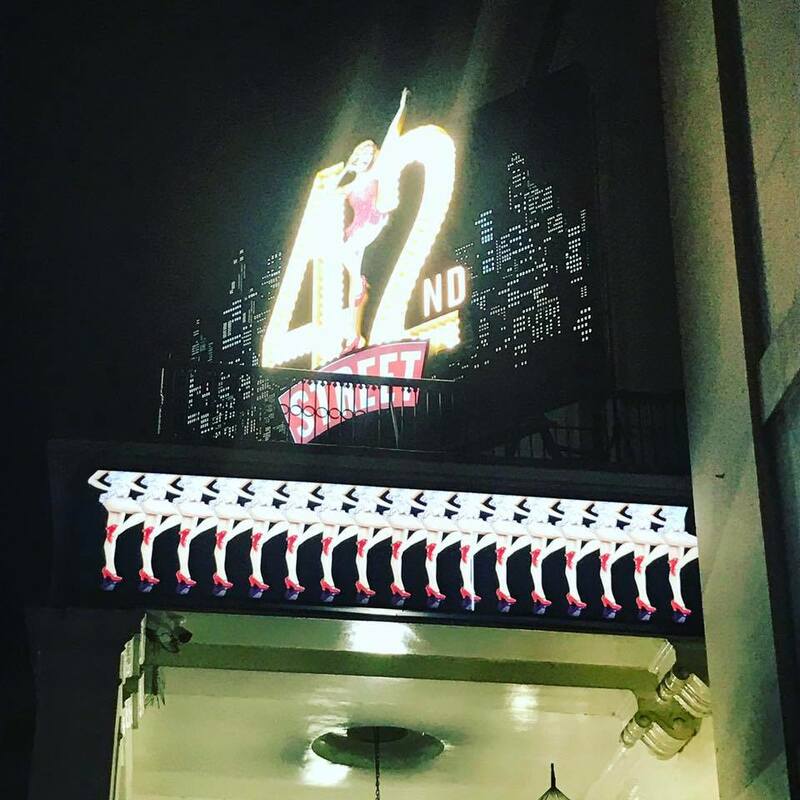 I will definitely be looking into a return visit as soon as possible and put 42nd Street on the top of my recommendations list for West End Shows for 2017 at the moment.